Google has introduced a number of new products and services for mobile users. These include a new Nexus 7 tablet model, and an AirPlay-like accessory called Chromecast. The next-generation Nexus 7 is thinner and lighter than the previous model, and includes an improved screen with a resolution of 1,920 x 1,200 and a pixel density of 323 ppi. Launching July 30, the Nexus 7 also includes a Qualcomm 1.5GHz quad-core S4 Pro, 2GB of RAM, NFC technology, and Bluetooth 4.0. 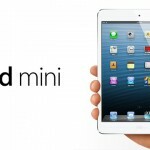 The iPad mini competitor also comes with a 1.2-megapixel front camera and 5-megapixel back camera. The Nexus 7 will be available starting at $229, which happens to be exactly $100 less than the entry-level iPad mini. 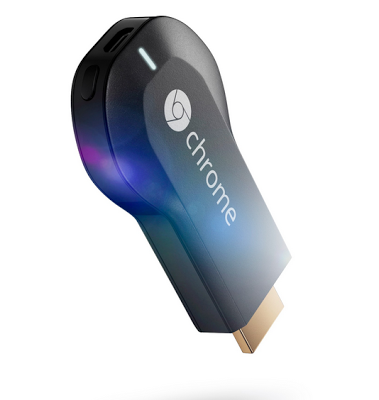 Chromecast is an HDMI accessory that allows users to mirror content from a tablet, smartphone, or computer, to an HDTV. The device works with video, music, and apps such as Netflix. Chromecast, which is available for $35, launches this week at Best Buy, Amazon, and the Google Play store. And yes, Chromecast works with the iPhone/iPod touch and iPad. Finally today, Google introduced its new Google Play Games app. Similar to Apple’s Game Center, the service lets developers build cloud saving, multiplayer gameplay, and achievements into apps. No doubt each of Google's new products will put pressure on Apple. 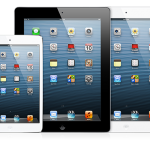 In particular, the introduction of the new Nexus 7 could prove troublesome were Cupertino to delay the launch of a second-generation iPad mini, as has been rumored. In addition, ChromeCast could prove to be a worthy Apple TV competitor depending on the services they begin offering support in the weeks and months ahead. See also: Apple Hoping To Incorporate Ad-Skipping Technology Within Its TV Service, and Apple's 'iOS In The Car' Could Connect Wirelessly, iOS 7 Suggests.